I think I have added a new item to my bucket list. I love nature and all the cool things about the outdoors. Mother nature adds quite a bit of character for one spot on Michigan’s UP. Michingan’s Upper Peninsula is known for its abudant wildlife and beautiful scenery. 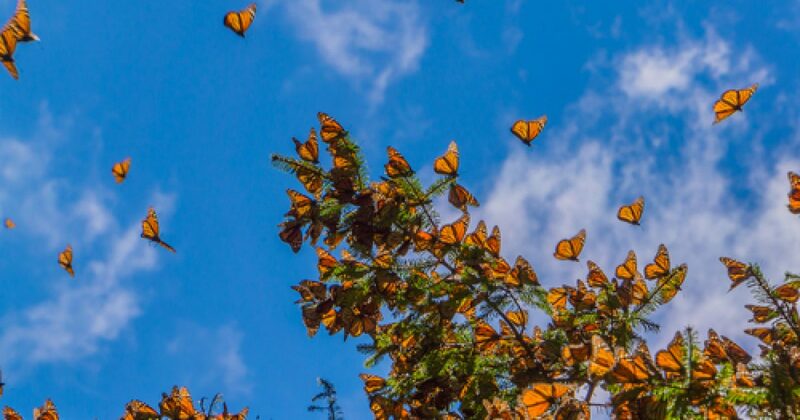 At Peninsula Point you can view the breathtaking views of Lake Michigan and if you visit at the right time, you may have the opportunity to catch migrating monarchs. Monarchs on their way to the Sierra Madres make a stop over at Peninsula Point. This resting point is used before they take off for their non-stop trip across Lake Michigan. I love seeing monarchs as the migrate across my home state. Twenty three in one day across the football field on sunny October morning while my son was playing ball is my top number. I can’t imagine seeing thousands. Maybe next year!